Chestnut Grove has built a strong foundation in the community and has an established record of caring and respect for its residents. Managed by Spring House Management, LLC, since 2005, Chestnut Grove employs an experienced leadership team that is active and visible in the surrounding community. All are dedicated to the principle that focusing on each senior as an individual is the best way to provide the support needed for them to make the most of every day. 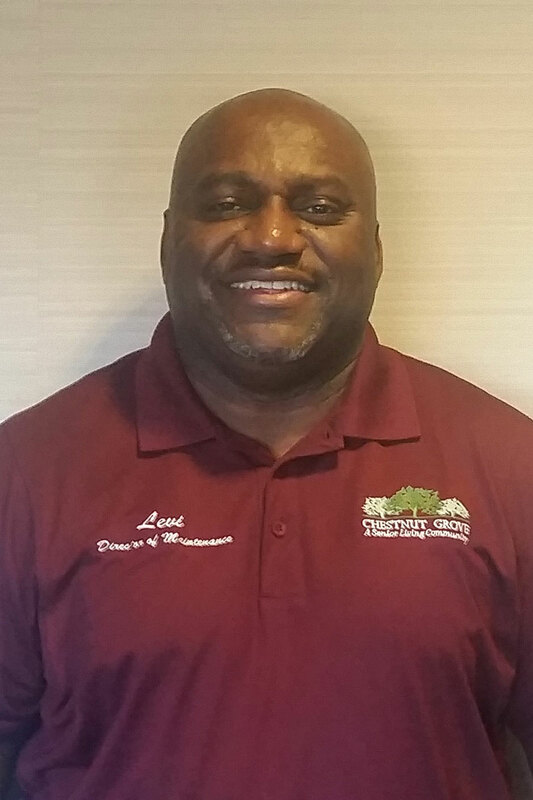 Leonard Wilkinson joined the Springhouse Management team in November of 2014 as Executive Director of Chestnut Grove. 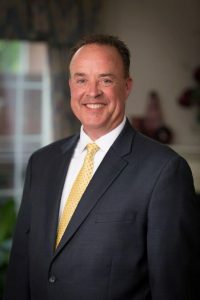 He is a proven leader in senior care with more than 15 years of industry experience, including serving as Executive Director in assisted living communities in Chesapeake, Hampton and Portsmouth, Virginia. Leonard is known for his passion and dedication to seniors, which he demonstrates by his personal involvement in several professional networks, including the Virginia Assisted Living Association (VALA) and Partners in Healthcare-Richmond. He works as a tireless advocate for the senior community, promoting improvements to the quality of life for all seniors. Leonard is a Licensed Administrator and Licensed Preceptor through the Commonwealth of Virginia Board of Long-Term Care Administrators-Department of Health Professions. A graduate of Old Dominion University, Leonard holds a Bachelor of Science in business administration and a certification from the National Council of Certified Dementia Practitioners. He resides in Virginia with his wife and son. Morning Glory is Chestnut Grove’s community for those residents who have Alzheimer’s and other dementia related diseases. As Memory Care Coordinator, Lisa programs and directs the daily activities for these folks and ensures that each is having the best day possible. 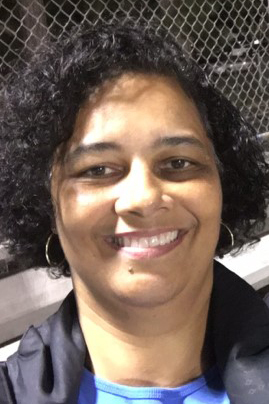 While having an Activities Director Certification, Lisa is also a licensed CNA, LPN, and Certified Dementia Practitioner. 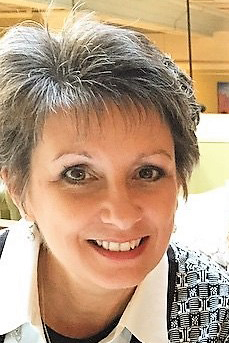 This combination of activity and clinical training make Lisa an exceptional team member who leads our memory care community with great care and expertise. Lisa has a tremendous and caring heart. Her background includes working with the elderly in nursing homes as well as dementia and hospice settings. When not caring for residents, Lisa devotes a great deal of her time ensuring care for her “rescued friends.” She is the proud owner of several cats, dogs, parrots and fish. The residents love when Lisa brings in her feathered friends in for a visit! David grew up in Roanoke Virginia, and moved to Richmond in 1986 to attend Virginia Commonwealth University where he graduated with a Bachelor’s degree in fine art. He started his culinary career as a way to pay for college, but also discovered it was an excellent way to exercise his artistic talents. David’s experience includes everything from eclectic vegetarian to French/Asian fusion fine dining. He has catered events for 50 to 500 people and has worked on a mobile food cart that served classic American cuisine. David also owned and operated a bakery and coffee shop from 1998 to 2004 where he nurtured the love of baking that was handed down by his mother. 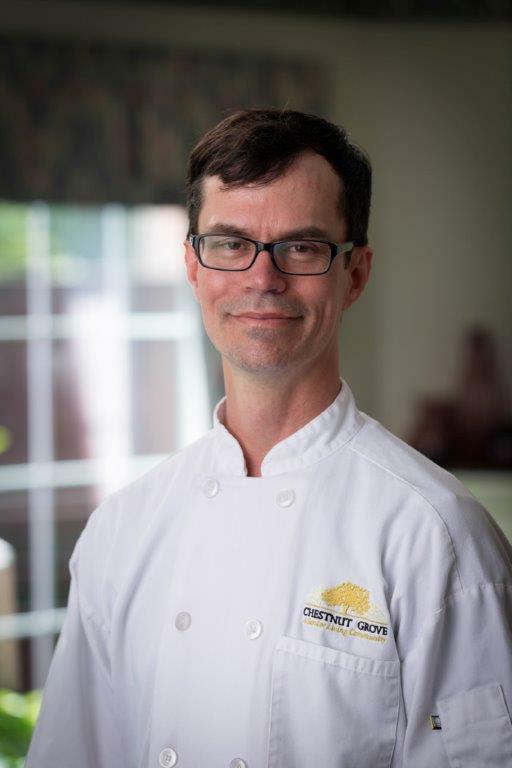 In 2013, he joined Chestnut Grove where he said it has been his pleasure to share all he has learned in his 27 years in the food industry. David’s philosophy at Chestnut Grove is to bring a “made-from-scratch” dining experience that is as enjoyable as it is unexpected in an assisted living community by serving quality meats, fresh vegetables and homemade desserts. Cindy is a Licensed Practical Nurse with over 30 years of experience. She has worked in many areas of nursing; most of her career has been in geriatrics. The past 17 years she has worked specifically in assisted living. In addition to her work as a Director of Nursing, Cindy has also served as a Wellness Nurse and the manager of a dementia/memory care community. Each of these experiences make Cindy a great asset for the health and well-being of our residents and a great support and resource to their families. 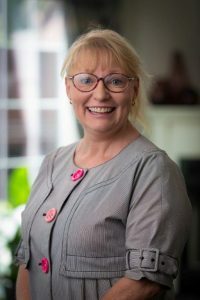 “I have enjoyed my many years in nursing but especially helping older adults to have the best quality of life possible.” Cindy Murphy, Director of Nursing. With over 30 years of experience in healthcare related industries, Terry has been a part of the company’s management team for almost 12 years. 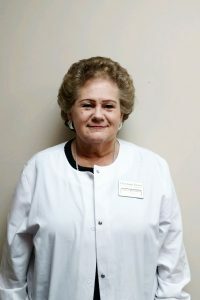 She is a Certified Dementia Practitioner and has a great passion and devotion for the residents we serve. Prior to joining the team, Terry worked in financial planning and long-term care insurance for almost a decade. She truly enjoys connecting with folks in the community and sharing information on the entire continuum of care i.e. independent living, assisted living, rehabilitation, memory care and skilled nursing, as well as, the financial resources and requirements for each community within the continuum i.e. private pay, Long Term Care insurance, Medicare, Medicaid and the Veterans Aid and Attendance Benefit. Her financial and insurance background is most valuable when assisting families in planning for their loved ones’ future. A graduate of Mary Washington College, now University of Mary Washington, Terry has a Bachelor’s degree in American Studies and in Economics with a concentration in Business and Marketing. She is a Richmond native and has two grown daughters. She loves all things music, especially playing the piano and singing and enjoys spending her leisure time in the mountains. As the Director of Maintenance, Levi directs all operations in our maintenance department as well as the laundry, transportation and housekeeping departments. A former maintenance technician with a major commercial real estate firm, Levi also brings a wealth of experience in team management with 10 years of experience with one of our country’s oldest and well-respected retail companies. Levi is a natural leader and does a great job in our support services departments. His education includes computer technology at Key Business College and business management at Saint Paul’s College. Angela is the manager for Select Rehab located on-site at Chestnut Grove. Residents who live with us benefit greatly from the Physical, Occupational and Speech Therapies that Select offers. Located on-site, Angela can secure therapy services in a quick and timely manner whenever the need arises. Angela received her Bachelor’s Degree from Virginia Commonwealth University, her masters from Old Dominion University and her Certified Dementia Practitioner designation through the National Council of Certified Dementia Practitioners. Angela has over 21 years of experience in a variety of health care settings, including skilled nursing, the Veterans Hospital, home health, with most of her career being in assisted living. Married with 4 children, Angela enjoys spending time with her family and friends. When not enjoying one of her favorite past times of traveling, Angela enjoys watching football, basketball and ice skating. She has a great heart for the senior population and enjoys helping them with their physical therapy needs. Beth is a Certified Therapeutic Recreation Specialist. This designation requires a 4-year college degree as well as hundreds of additional hours of on the job training before you can sit for the exam. Her activities include programming that support our residents’ emotional, spiritual, intellectual and physical well-being. 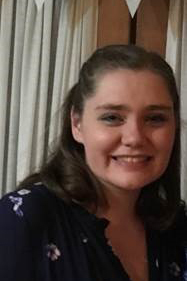 She has extensive knowledge in her field and is a graduate of Longwood University which has one of the best programs in the area for therapeutic recreation.